Gov. Ige's moratorium on the TMT project gives the UH Board of Regents, OHA and Mayor Billy Kenoi opportunities to revisit past choices. Gov. David Ige has extended his moratorium on construction of the Thirty Meter Telescope project until April 20. This stay gives the University of Hawaii Board of Regents an opportunity to take public testimony at a special meeting Thursday at 11:30 a.m., at UH Hilo. The only item on that agenda is: “The Management of Mauna Kea and the Mauna Kea Science Reserve.” Mauna Kea protectors are hopeful that the board will reconsider approval of the sublease it granted on Feb. 20, 2014. An examination of the approved minutes of that meeting reveals that many regents were not as prepared to raise critical concerns as they are today. Supporters draped in the Hawaiian flags chant as they approach the Mauna Kea visitor center. UH Hilo Chancellor Donald Straney walked regents through the agenda item, “Approval of Mauna Kea Sublease and Non-Exclusive Easement Agreement with TMT International Observatory, LLC.” After introducing his colleagues and providing a brief historical overview of the TMT project, Straney quickly cited the “full Environmental Impact Statement” (EIS) and its approval in 2009 and 2010 by then-Gov. Linda Lingle. Straney also mentioned that the Mauna Kea Management Board approved the proposal, but on condition that the regents approve the sublease in open session. Conditional approvals like this should be a red flag for the subsequent authorizing body to take a closer look at the content and context of the issue at hand. Had the board appreciated this call to action, and fully vetted the proposal with greater public outreach, the sublease might not have been granted. One of the most important sections of the EIS is the Cultural Impact Assessment, or CIA. With the recent heightened media coverage, members of the public has been combing through the EIS and offering their own analysis of the comprehensive CIA. The minutes of the February 2014 BOR meeting at UH Manoa reflect that several regents expressed concerns with the lack of outreach. 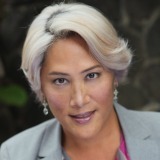 After hearing many Manoa students testify in opposition to the project, Regent Chuck Gee, a self-described “strong advocate” of students, pointed out that testimony that day was 4:1 in opposition to the lease. Arguably, that future is now, and the larger community is demanding that it be heard on this issue. OHA does not have online access to meeting minutes prior to 2010. The OHA newspaper, Ka Wai Ola, which covers OHA meetings, is not accessible prior to 2013. But OHA Trustee Rowena Akana’s personal blog does go back to that July 2009 meeting and includes her Ka Wai Ola column on the vote to approve the TMT. The serious, unanswered concerns Akana referred to were sent in a letter written by an OHA administrator to the TMT Project of UH Hilo just a few days before the vote was called. They were serious enough that the vote should have been deferred. Akana pointed out that she and two other trustees were excused from that July 2, 2009, meeting, so only six of nine trustees voted. It would have taken only a minority of four trustees to pass such a damaging resolution. In the six years since that vote was taken, four new trustees have voiced some degree of solidarity with the Mauna Kea Protectors: Leina’ala Ahu Isa, Dan Ahuna, Carmen Hulu Lindsey and Peter Apo. OHA should view Ige’s extended moratorium as an opportunity to allow current trustees to consider the groundswell of information and strong opposition to the project and take another vote on its approval of the TMT on Mauna Kea. At the very least, OHA should inform the regents that OHA is in the process of reassessing its approval and ask the university to suspend the sublease in the meantime. Before the regents took the vote to approve the TMT sublease in February 2014, Chancellor Straney tried to smooth over the opposition testimony by citing the words of Hawaii County Mayor Billy Kenoi. 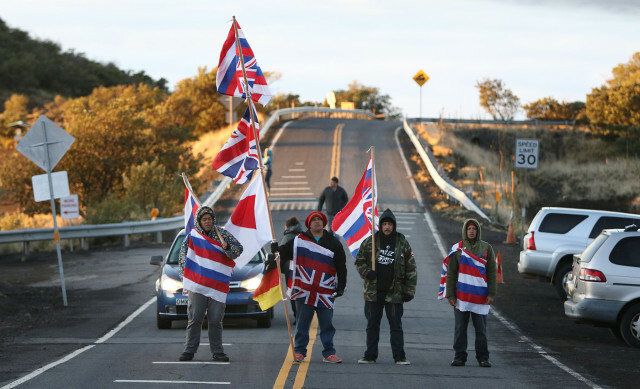 Kenoi assured the demonstrators at the time that there would be no arrests. Arrests were not made that day. But since then, Kenoi has permitted the arrest of 31 peaceful demonstrators. Months later, Kenoi finds himself is at the center of multiple investigations over personal use of his government credit card. Ige’s moratorium extension gives Kenoi an opportunity to humbly reflect and reconsider his support for the desecration of Mauna Kea. Kenoi may not have much to lose at this point if he comes out against the TMT construction. Instead, he may find comforting forgiveness in the warm embrace of the protectors chanting in the cold.